Maligayang Pagdating sa Ikaapat na Sinulid ng mga Talakayan ng BANKARD. Welcome to the Fourth Discussion Thread of BANKARD. MGA SINULID NG TALAKAYAN NG "BANKARD"
RCBC BANKARD, publicly and legally known as BANKARD, INC. (traded as "BKD" in PSE) is the second largest credit card issuers in the Philippines in terms of the most number of card brands acquisition, issuing Visa, MasterCard, JCB and CUP credit cards. BDO issues the most brands in the country, namely MasterCard, Visa, JCB, UnionPay, American Express, including corporate and tie-up cards with different companies, and now Diners Club. On December 4, 1981, Philippine Commercial International Bank (now part of BDO) organized the Philippine Commercial Credit Card, Inc. (PCCCI). Full commercial operations started in June 1982. It has strong partnership with Mastercard International. It also issued its own line of credit and debit cards in the 1990s.In July 1992, PCCCI changed its name to Bankard, Inc. In March 1995, Bankard, Inc. was publicly listed in the Philippine Stock Exchange and started offering dual currency feature. In May 2000, the Yuchengco group acquired Bankard from PCI Equitable Bank (now part of BDO), a product of the high profile merger between Equitable Bank and Philippine Commercial International Bank (PCIBank). The merged bank decided to keep Equitable's credit card arm instead of merging Bankard into Equitable Card Network's (now part of BDO Consumer Lending Group) operations. In 2006, following the sale of the entire Bankard business and all of its assets to RCBC and RCBC Cards, the company re-branded its cards from Bankard to RCBC Bankard the following year, 2007. Now as RCBC BANKARD SERVICES CORPORATION. From 2000 to 2006, the merger of RCBC Cards and Bankard, Inc. was being realized. Bankard is granted the license to acquire merchant billings and to issue credit cards carrying MasterCard brands in 1991, Visa brands in 1995, China UnionPay in 2010. Through RCBC Cards, Bankard also started issuing JCB cards. 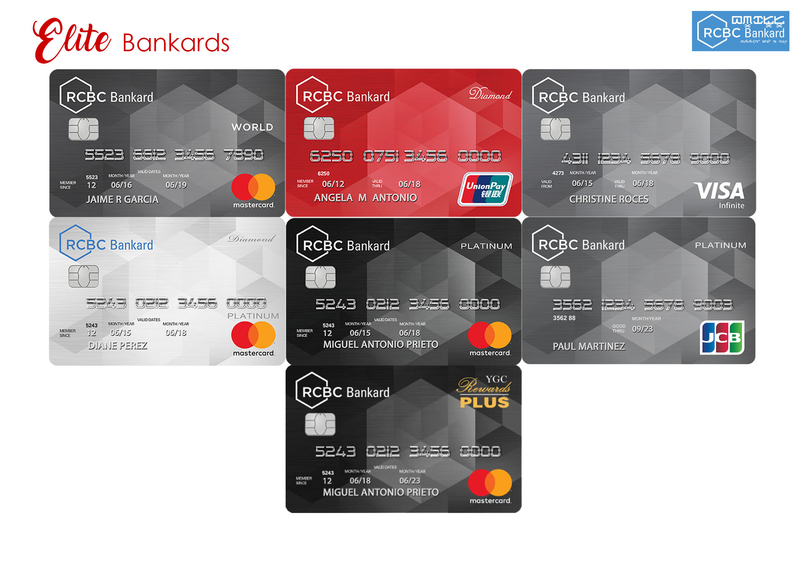 In terms of card features, Bankard is known for being the first card company to launch a catalog-free Rewards Program and a simplified, no-hassle installment conversion feature that allows cardholders to convert their retail purchases to installment just by calling the RCBC Bankard Customer Service. Cardholders can likewise avail themselves of flexible and easy-on-the-pocket installment packages through the RCBC Bankard Installment facility that also includes 0% interest installment. 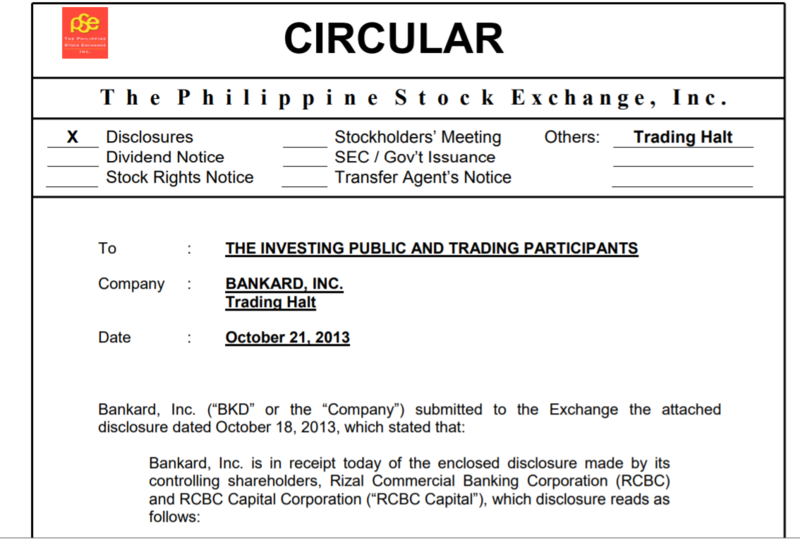 BANKARD, INC., traded as "BKD"
Exact Name of Issuer as specified in its charter: BANKARD, INC.
Bankard Inc., doing business as RCBC Bankard. The Yuchengco group acquired Bankard in 2001 from PCI Equitable Bank, a product of the high profile merger between Equitable Bank and Philippine Commercial International Bank (now merged with Banco De Oro). The merged bank decided to keep Equitable Bank's credit card arm instead of merging Bankard into Equitable CardNetwork's operations. Bankard was considered a pioneer in the local credit card industry. It was established by PCI Bank in 1981 and its strong partnership with Mastercard International in the 1990's made it a formidable player and a lucrative business. 1. Make sure you pay at least the full minimum amount due on your card as often as possible. If you are sticking to your monthly budget, this shouldn’t be a problem. Don’t overspend! Take advantage of your RCBC Bankard’s free, customized, spend management tool called Spend Analyzer. It allows you to plan your card usage by printing an expense summary table on your monthly statement of account. In one glance, you’ll be able to see your family’s expenditures for the month’s cycle and the year-to-date cycle. 2. Hold on to your transaction receipts so that you can refer to them whenever you are in doubt of a particular entry in your monthly statement of account. Save all of your transaction receipts. This will serve as your proof in case there are erroneous postings in your monthly statements. To keep track of your card transactions and manage your budget, enroll in the RCBC Bankard Spend Monitor and enjoy peace of mind with real-time SMS advisory that keeps you informed of your card transactions. The best part about this is that this service is free-of-charge! 3. Owning a credit card is a privilege, not a right. A credit card is a financial tool that you should use responsibly. Pay your credit card bill on time and at least the minimum amount due in full each month to avoid interest charges and late payment fees. If you’re a good cardholder, your RCBC Bankard will generously reward you with credit limit increases and special perks. Settle your monthly dues right in the comfort and convenience of your home via an online payment facility powered by BancNet. No need to line up in the bank or payment centers! All you need is a BancNet account. See all payment channels here. Of course, the best option is to consolidate all your spending on your RCBC Bankard and generate savings for yourself by enjoying rebates on your interest charges. Learn more about Balance Transfer. Talk to our Customer Service Representative by calling 8881888. 5. Never let others use your card or share your PIN to avoid problems that may arise from fraudulent charges. Not only will these fraudulent charges give you a headache, more importantly, it will destroy your credit worthiness. Be vigilant. If, however, you want to share your card privileges with your loved ones and chosen household staff, the best way is to get them Supplementary Cards. Their first-year membership fees will be waived. You may apply online here or call 8881888. 6. Read all pertinent messages, updates, and/or notices printed on your MBS/SOA. Read all pertinent messages, updates, and/or notices printed on your Statement of Account. 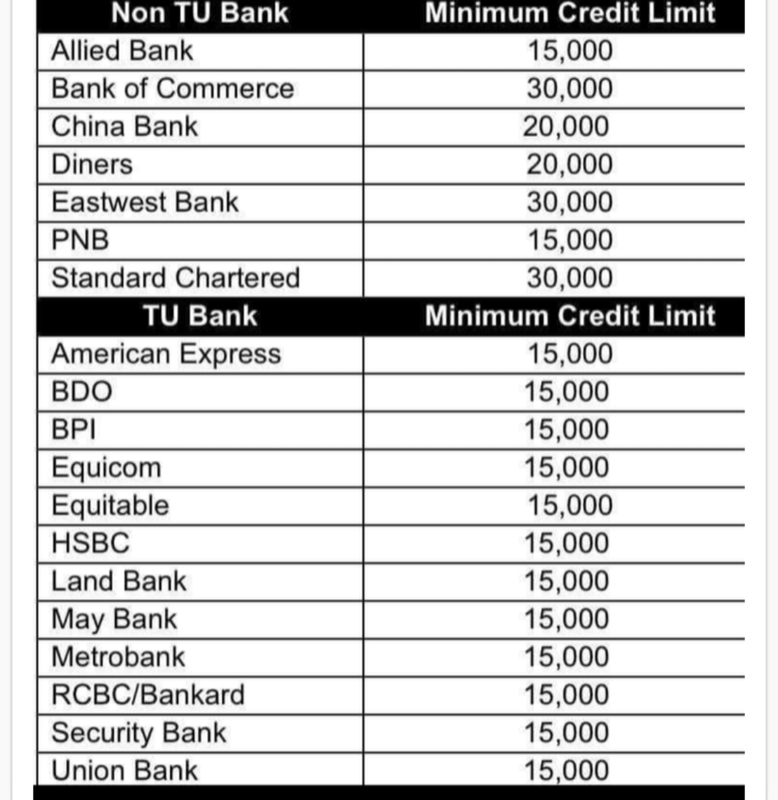 This will help you in keeping your RCBC Bankard credit card account in good order and standing. Your RCBC Bankard has set up convenient ways for you to access your monthly statements of account. Log on to website or enroll in the eMBS/eSOA Via Email facility to have your monthly statements sent directly to your email address thereby insuring that you will get your statements on time. 7. Keep your Credit Card information secure at all times. Do not fall victim to phishing websites, emails or prank calls asking for your credit card details. Be smart in determining the need to divulge these information and the manner it will be done. For your security, immediately sign at the back of your credit card upon receipt. 1. Never divulge your card number, online passwords and, most importantly, the last three digits at the back of your card to anyone. If you have been issued a Personal Identification Number (PIN), memorize it and destroy the mailer on which it was sent. 2. Before signing, check whether the amount printed on your transaction slip is the actual amount of your purchase. 3. Never surrender your card to anyone for whatever reason. We can provide all the services you need (i.e., balance transfer, card upgrade or replacement, increase in credit limit) without getting your card from you. 4. Never respond to fraudulent e-mails especially those that are requesting for confidential account information. If you’ve received any emails like this or responded to one already, please call 888-1-888 or 1800-10-888-1-888 immediately. 5. When dining or shopping, always personally hand over your card to the cashier and take note of the length of time before your card is returned to you. Make the most of your spending with our Rewards Program! RCBC Bankard lets you earn rewards for your spending anywhere*! Plus, it’s not only generous, it’s non-expiring and has no cap. JCB MyDream, Co-branded Cards, Corporate Cards, and Private Label Cards are not eligible to enroll in this program. Co-Brand cards have different rewards programs and as such, are excluded from this program. Donation. Make other peoples’ lives better with your Rewards Points. Spend Requirement to Earn Rewards Points: % Peso Rebate: 10% for purchases at Fully Booked with equivalent outstore spend of Php20,000 and up5% for purchases at Fully Booked with equivalent outstore spend of Php10,000 to Php19,999. Turn your credit limit into cash. Purchase your travel tickets using your RCBC Bankard and get free Travel Insurance. Use your card abroad and avail of free Purchase Protection. including your dining, hotel, and tour-related expenses to 0% installment for 3 months.